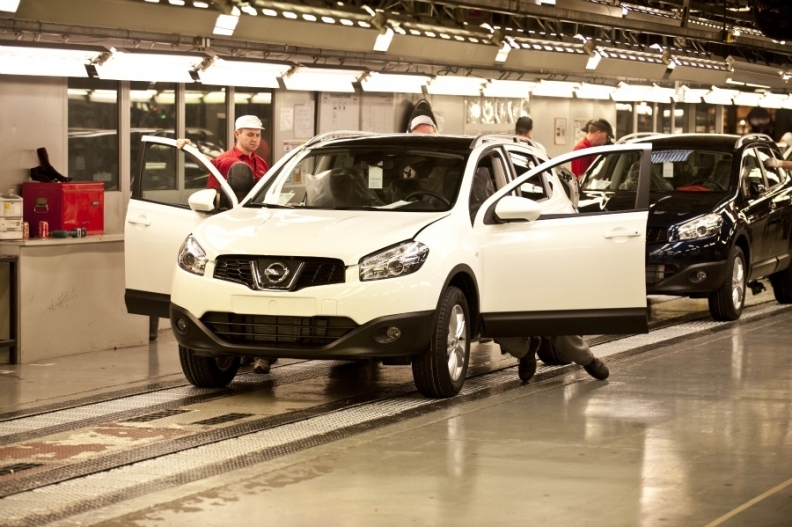 LONDON – Strong growth in Nissan production helped push UK car manufacturing to a 16-month high in January. Cars built totaled 127,382, a rise of 15.6 percent compared to the previous January, industry association the Society of Motor Manufacturers and Traders (SMMT) said on Thursday. More than a third of the volume came from Nissan's factory in Sunderland, northeast England, which increased production in January by 14 percent to 44,951. UK engine manufacturing also increased, rising 5 percent in January to 227,161, while commercial vehicle production fell 1.2 percent to 9844. "UK car production continues to drive manufacturing growth," said SMMT CEO Paul Everitt. Last year UK car production ranked fourth in Europe with 1.34 million cars built, a rise of 5.8 percent from 2010. Of that, 480,485 was accounted for by Nissan, which builds the Qashqai and Juke in Sunderland. Quoting unnamed analysts, the SMMT said UK car production was expected to increase by 9 percent to 1.46 million this year.